Property 7: Beachcamp Cottage + Only 50 Steps to the Beach + Updated & Close to Everything! Property 9: THE BOAT HOUSE LOFT of Cape Cod ~ Amazing Waterfront Vacation! 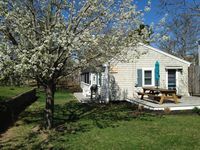 Property 12: ⛱1940's Renovated Bass River Cottage B Central AC 1/2mi walk to 3 Ocean Beaches! Property 13: Steps to Nantucket Sound! Property 16: Eastham Cottage w/Backyard-100 Yards to the Bay! 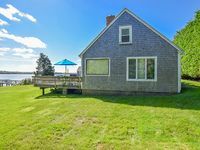 Property 25: South Yarmouth Cottage - Walk to Seaview Beach! #502: COMPLETELY renovated, walk to water and preservation land! Property 33: #502: COMPLETELY renovated, walk to water and preservation land! The Cottage - New Studio cottage with Central Air! Property 35: The Cottage - New Studio cottage with Central Air! Property 36: Walk to the beach and listen to the birds from this comfortable private cottage! Property 37: Warm & Inviting renovated cottage close to beaches, activities & more. Ginger Plum Cottage - Classic cottage 400 feet from the beach! Property 39: Ginger Plum Cottage - Classic cottage 400 feet from the beach! Property 44: ELEGANT SIMPLICITY ON CHATHAM’S WHITE POND! Property 45: #417: Waterfront cottage with boat dock. Dog friendly, beautiful views! Rarely does a location &quot;live&quot; up to the photos / descriptions seen on line, but The Pilot House truly was as advertised ! Beautiful views, lots of waterfowl to entertain us from the gated deck, pet friendly and immaculate ! Great customer service too . Perfect for our needs , close to The National Seashore and all lower cape attractions. We plan to return in the Fall .